August 06, 2015, 11:18 a.m. Following the remarkable rise of Labour left-winger Jeremy Corbyn, research from 2013 showing strong public support for the nationalisation of various sectors has become the most popular story on YouGov.com. Left-wing commentators and activists have been circulating the story as evidence of a latent progressivism among the British public. British people still do support the nationalisation of railways, water companies and other utilities, and they support a number of other &apos;hard&apos; left wing ideas too. But it is worth remembering that they also support policies so right-wing that no mainstream politician has proposed them. Out of four radical policies each from the right and left of British politics, seven are supported by a majority, the other by a large plurality. The two most popular policies come from the far-right. 66% of British people support stopping benefits entirely for people who refuse employment offers, and 66% support ending parole for people convicted of murder so they spend the whole of the rest of their lives in prison. For both policies 17% are in opposition. 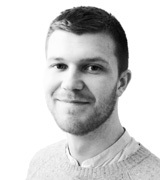 Currently benefits can be temporarily stopped for certain breaches of the agreement, but no one has suggested refusing employment should end support forever. 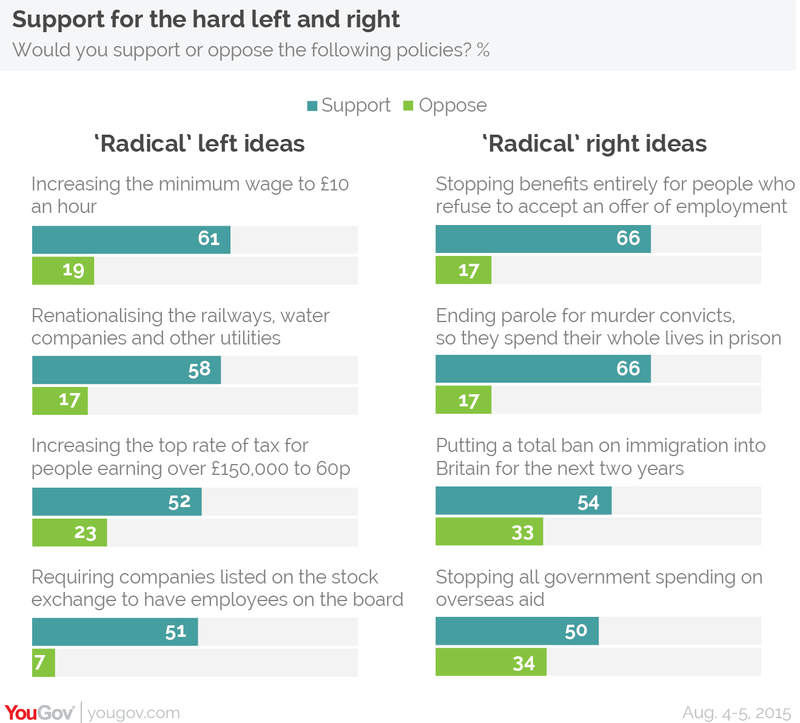 At the same time, three far-left policies enjoy similar levels of support. Requiring top companies to have employee representatives on the board, a £10 minimum wage and the nationalisation of railways and other utilities are all supported by a majority, with net support above +40 points. 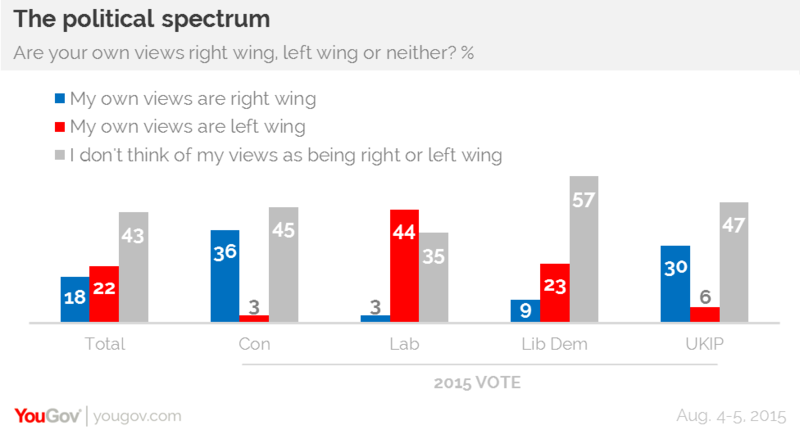 Conservative and UKIP voters tend on balance to support all of the policies, left and right. And UKIP voters are emphatic in their support – on average their rating for every policy is +52 compared to Labour and Tory voter’s +32. Labour voters support six out of eight policies – tending to oppose a total ban on immigration for two years (net -1) and stopping all overseas aid (-13). These are the least popular policies overall, but are still supported by 54% and 50% respectively. The most ideological voters, in this sense, are Labour’s – 44% see themselves as left-wing, while 36% of Conservatives see themselves as to the right. UKIP voters are actually more likely than either Labour or Conservative supporters to say the terms don’t describe their views, however Liberal Democrats are the most likely to say this (57%).